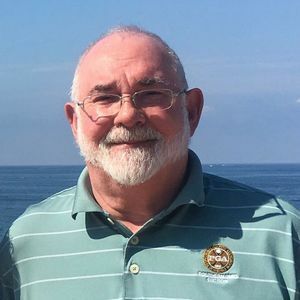 James E. Depew, age 76, passed away March 15, 2019. He was preceded in death by his loving wife of 42 years Connie (nee Tilton) and sister Roberta (John) Felderman. James is survived by his children, Danielle (Scott) Stackhouse of Centerville, OH and Michelle (Tom) Bach of Springboro, OH; grandchildren, Alec, Olivia, and William; great-granddaughter, Madison; sister, Karen Stevens of Philadelphia, PA and brother, Robert (Joann) Depew of Long Beach, CA. A graduate of Westminster College with a degree in Chemistry, he spent most of his career in purchasing and retired from Glidden Paint/ICI after 27 years. He was an avid philatelist from a young age and enjoyed attending various stamp shows and conventions. He traveled the world for business and always enjoyed fine food and wine. He was a fantastic home cook and greeted new neighbors with homemade zucchini bread. His lemon cookies and hearty laugh will be missed. He loved fishing, being a Florida snowbird, and planning social events with his Avenbury Buckingham Drive friends. He was a diehard Steelers and Indians fan. He was phenomenally stoic in the face of cancer, not once but twice. He was a friend to all and beloved by many. A Celebration of Life Service will be held Saturday, April 20, 2019 at 11 am at Busch Funeral Home, 32000 Detroit Road, Avon, OH. In lieu of flowers, contributions can be made to the Salvation Army, 2507 E. 22nd St., Cleveland, OH 44115.